Works on the damaged facade of the Zmaj Jovina St.
Home/Works on the damaged facade of the Zmaj Jovina St. 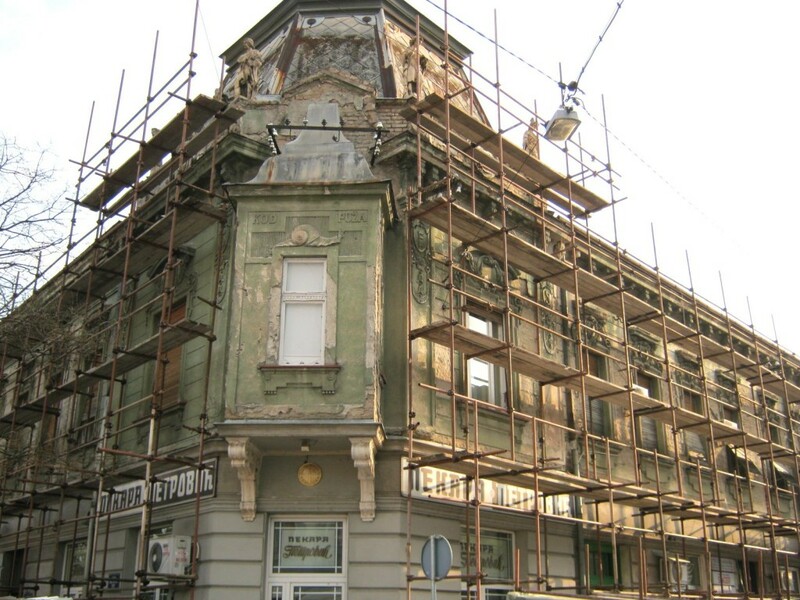 Restoration of another old building in the old center of Zemun is in progress. 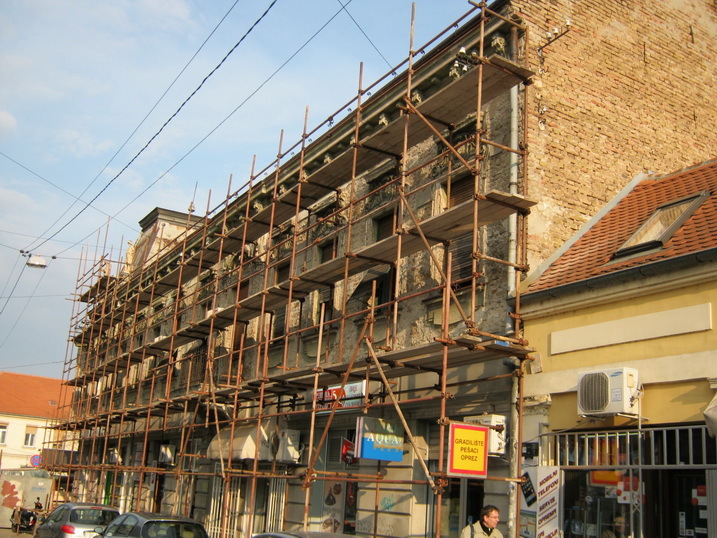 Even 27.3. work began on the damaged facade of the Zmaj Jovina St., one of the oldest St.s of the old center of Zemun. It is the facade of the house with a “snail,” which is located at the corner with the market place. In this building there used to be a famous café “Kod puza”, known since the 19th century. For the strange name of this cafe, the unusual appearance of the entrance can be credited. This facility, unlike the others from that period, had a prow of the so-called “grain ship” built in at the entrance in the form of a snail, made of thick oak beams. Grain ships at that time were normal cargo ships on the Danube, which were held by the grain traders in Zemun in the 18th and 19th century. The characteristic of these ships was exactly a beak in spiral shape, and for that reason such a prow was built into the cafe. The numerous caterers from Zemun “ruled” this café, until in 1911. a well known trader F. Streicher demolished an old one-story building in its place and built a new one which is visible even today. The project was carried out by known architect Joseph Kraus. However the new owner had left the old symbol of the building and kept her name. The current function of the building is residential and commercial, as ground floor are shops and apartments are above. Within the building operates the famous “Petrovic” bakery. Zmaj Jovina St. is one of the oldest St.s in Zemun, it is among the 13 existing St.s in the oldest preserved city plan from the 1740. The contractor is “Ornament Investinženjering” and the ordering party is the municipality of Zemun.